This year, for members of Orthodox churches in twenty-four countries, Easter Sunday will be on May 1. Believers will flock to churches in countries such as Russia, Greece, the Ukraine, Cyprus and Bulgaria to demonstrate their faith in the Resurrection of Jesus. 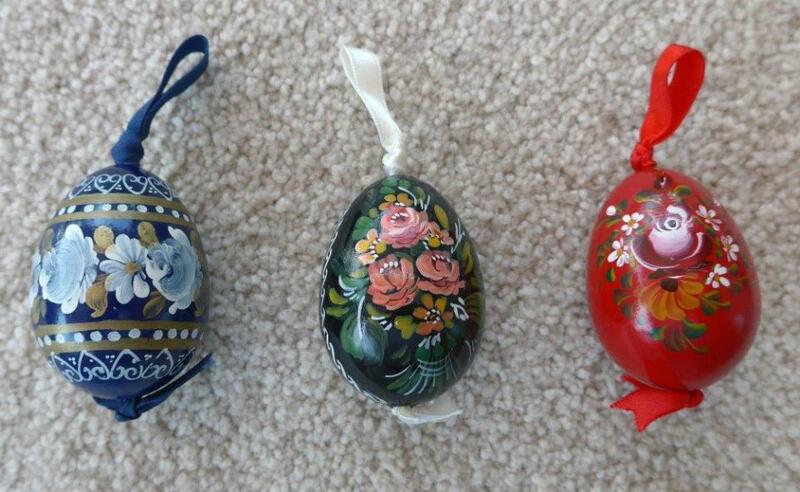 Of all holidays celebrated by Russians the most significant, deeply rooted in the Slavic past, is Easter – the principal feast day of the Orthodox calendar. At Easter Russians throughout the world share a tradition which leads them to crowd Orthodox churches and cathedrals, whether in Paris, New York, San Francisco or even Sydney. In the 1930s and early 1940s when there was no Russian Orthodox Cathedral in Sydney the need for a church large enough to accommodate the many wishing to attend the Easter service led to the adoption of Christ Church of St. Laurence in George Street, near Railway Square for the purpose and its use continued until the Sts. Peter and Paul Cathedral was built in Vernon Street, Strathfield. The Easter service broadly follows a pattern starting at about 11 pm on Easter Saturday with prayers and unaccompanied church choir singing as the congregation gathers – all standing and each person holding a lighted candle (often of beeswax). As midnight approaches the church is full to overflowing, with people standing outside. Just before midnight all lights are turned off and candles extinguished while the congregation waits for midnight when bells ring out and the priest repeatedly intones the words: Xpuctoc Bockpec (“Christ is risen”) to which the congregation responds (in Russian) “Truly He is risen”. Priests start relighting candles from the front of the church. During the next two hours or so, as the service continues, people gradually drift off to their homes where the feast they laid out before going to church, awaits them - including zaskuski, piroshki and vodka. 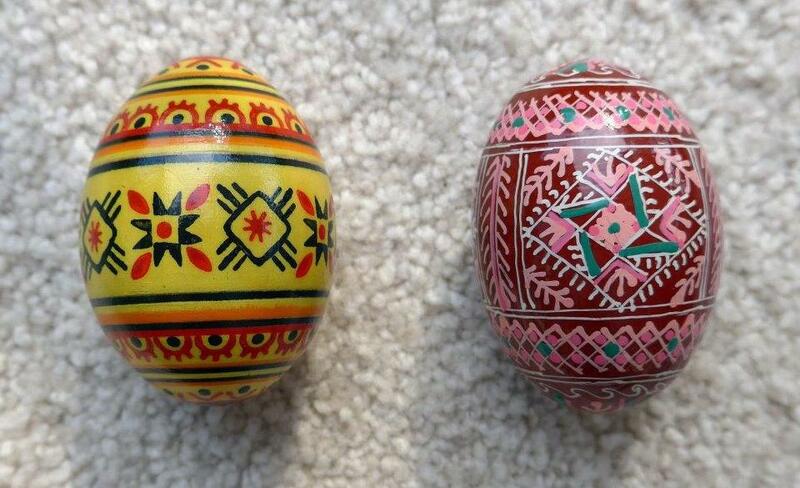 Always there are boiled eggs, coloured and sometimes decorated, Kulich and Paskha. The Kulich and Paskha always bear the Russian letters X B denoting that Christ is risen. Kulich is a sweet yeast-risen Russian Easter bread – really a cross between a bread and a cake – baked in tall cylindrical tins – usually with nuts, raisins and candied citrus peel – sometimes with a touch of saffron. It is decorated with white icing which drizzles down the sides and the Russian letters XB on top. Paskha is a traditional sweet Easter dish made from tvorog (farmers’ cheese/curd cheese), butter, eggs, heavy or sour cream, raisins, almonds, vanilla, spices and candied fruits. It is moulded into a truncated pyramid and decorated with XB. In Orthodox churches the date of Easter varies from year to year as does the date in Western churches – but there is no obvious relationship between the dates to explain the differences. Occasionally the dates coincide. Arriving at an agreed basis for setting the date for Easter has been the subject of debate from the early centuries of Christianity. As the crucifixion occurred after the Hebrew Passover the Hebrew calendar, for a time, was a reference point but over time was deemed inappropriate. The ecclesiastical rules that determine the date of Easter trace back to the First Council of Nicaea (325 CE) convened by the Emperor Constantine at a time when the Roman world used the Julian Calendar. Tables were constructed to compute the date, and over the years underwent modifications. In 1582 a reconstruction of the Julian Calendar produced new Easter tables. By the 1700s this new calendar, the Gregorian Calendar, was adopted in most of Western Europe. However the Eastern Christian churches still determine the date of Easter using the Julian Calendar method. The statement that Easter Day is the first Sunday after the full moon that occurs next after the vernal equinox is only an approximate statement of the actual ecclesiastical rules. The full moon involved is not the astronomical full moon but an ecclesiastical moon (determined from tables). • Easter is on the first Sunday following the first ecclesiastical full moon that occurs on or after the day of the vernal equinox. There are other complications - and in recent times there have been attempts to change the method or even to agree a date to apply each year (like Christmas). This is an interesting topic which anyone who is particularly interested can pursue. To sum up: The civil date of Easter depends on which tables are used – Gregorian or pre-Gregorian (i.e. older tables based on the Julian Calendar). Copyright George Repin 2019. All Rights Reserved.